The original 'contact me' page as shown below, shows very basic information with no visuals for the viewer to relate to. My client had specified he wanted Google Maps and Social Media icons including on this page as a priority allowing further brand interaction and promotion for the shop. I am working from the web files initially created for the original website (PSD), so editing the design within that. I did not have the page layout as shown below, so used another page given with a similar layout initially to show the client how I suggest the page should look and function. I have emailed him and asked for the correct file to use in the meantime. 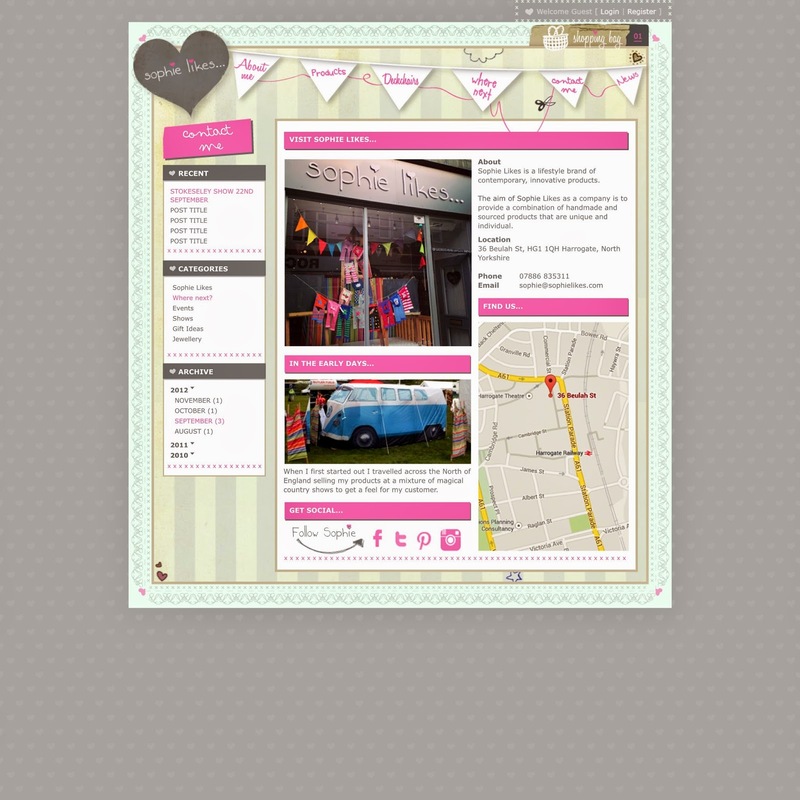 Below shows the page which I developed using the temporary layout. 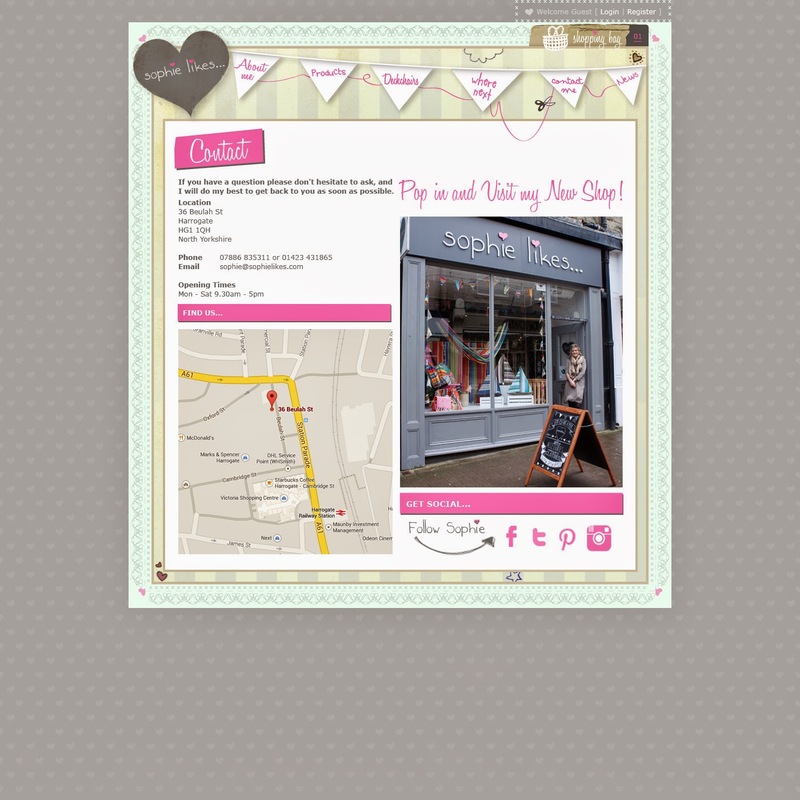 Additional imagery has been placed on the page, showing the exterior of the shop in Harrogate allowing shoppers to relate instantly, as well as a photo of 'the early days' where Sophie sold her products at local markets. Google maps and social media icons have also been added as previously noted. This was then sent off to my client for feedback which will allow for further development. I felt the page looked much more appropriate than previously especially due to the use of imagery. 1. I can see you've used the blog / news template to design the contact page. I assume because in the PSD file you don't have the contact page template. Could you use either a screen shot of the contact page to work from that as we don't have the PSD for it as it was so long ago we designed it!! So see below, we need you to work in the area below the "contact me" header and where the black box is. The black box can be made deeper so feel free to deepen it to fit all the content in if you wish. 2. All the content used looks great apart from the "in the early days" - we'll use this for the about page. 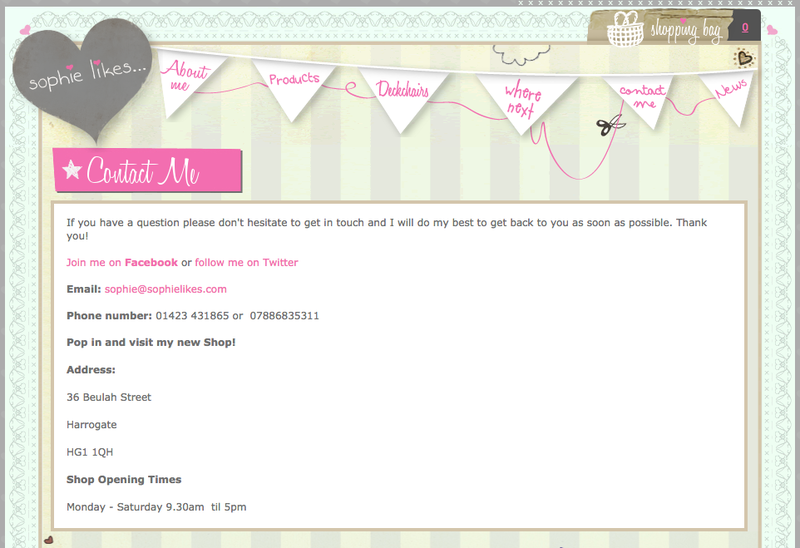 - And could you try and get in somewhere " Pop in and visit my new Shop!" maybe nicely overlaid over the image or something! Leave that with you! Following the directions given, the content was split into two, and I re-built the contact page using the files previously given to me, as unfortunately the original contact page design/code has been lost over time. I found this relatively simple once I had got into the process and understood how it worked using layers on Photoshop. This design allowed for the whole width of the page to be used for the contact information, opposed to having the navigation bar on the left hand side. The shop image and map were kept, and enlarged, as well as keeping the social media icons. The shop opening times were added, along with the caption 'pop in and visit my new shop!'. This was then once again sent off for feedback. Soph loved the home page so good work. She's away until Monday so I'll check if it's signed off or any final tweaks then. Re the contact page again looks good. Think the "Pop in and visit my new shop" would be best at above the shop photo! 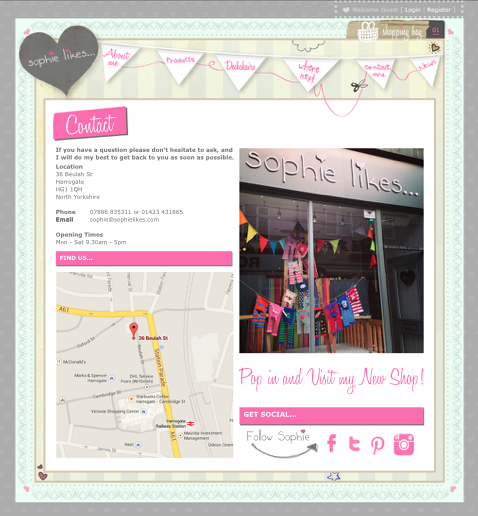 And would the photo of Sophie in the shop door work better - more personable? Once I had received the final amendments for this page, the layout and image were changed slightly, allowing the page to be more personable and welcoming. I was really happy with the outcome and I am currently waiting for Sophie to return to Harrogate to sign this page off also.